Social media is important in the Japanese market. Most Japanese net users will usually be familiar with Facebook, Twitter, or Mixi. While the social media market in Japan was relatively closed to external companies before 2011, the use of these networks during the earthquake that occurred in that year led to an explosive growth of social media use. In Japan, Facebook and Twitter only really took off after the great earthquake of 2011. Prior to that, the acceptance of these social media outlets was much slower than in the Western market. This is because these social networks were used to spread news and communicate with the public when traditional media were not accessible. These two social networks provided a valuable role in spreading news on blackouts or breaking developments. Since then, the public has largely adopted these platforms for entertainment, or for sharing family pictures with friends and keeping in touch. Secondary players in the Japanese market are always looking for partnerships with businesses or artists in an attempt to improve their own market share and increase their competitiveness. The Japanese social media market is notably volatile and market share tends to change frequently. Facebook overtook the dominant platform, Mixi, and now seems to be the most important social media platform for businesses wanting to use social media marketing in Japan. Generally, businesses have increased their awareness of the Japanese social media market after the earthquake of 2011. This is because many of the people that created accounts to stay updated on news retained their social media accounts for personal use. The launch of business-related Facebook initiatives like Facebook Navi also helped businesses in the Japanese market realize the enormous potential of this technology for marketing their products and services. As with most social media strategies, the basic tactic is to use a steady stream of updates that may be relevant to the target demographic. This increases the following of a particular social media presence. It is also important to interact regularly with customers, commenting on responses, asking questions for feedback, and engaging directly. The strength of social media marketing is that it allows companies to have a virtual relationship with customers, engaging directly through social media channels. The holy grail of social media marketing is always to create viral content, photos and video clips that become so popular that they are shared by the consumers, thus promote the company’s services without the need for direct investment in marketing. Why Do You Want to Migrate to the Cloud? There are numerous reasons why enterprises want to migrate to the cloud these days. Some don’t have any reason at all. However, if you want to enjoy the benefits of cloud technology you must have a valid, cogent and strong reason to do so. Here are some reasons why organizations think of moving to cloud architecture. Human beings are supposed to be rational animals, but the irony is that we tend to follow what others are doing, even if it makes no sense. It’s the herd mentality. But this is the worst reason for any organization to embrace new technology like cloud computing. In most cases, a decision based on such inane criteria eventually ends in frustration. So it’s better to avoid this kind of temptation. Here we are on solid ground. Enterprises have to show that profit and cost considerations drive their decisions. And there are many ways in which cloud computing leads to cost cutting. A direct comparison between the costs of a leased server and the cloud equivalent is the easiest way to ascertain the advantage of one over the other. There are some hidden cost savings which you might have overlooked. In the case of servers which belong to an enterprise and are hosted in a data center, it becomes a capital investment for tax purposes. This means that only a portion of investment can be claimed as expenditure for tax benefits. On the other hand, leased servers or cloud infrastructure are considered as operating expenses and the entire amount can be tax exempt. This can effectively save money for your organization. You must remember that depreciation benefits cannot be claimed if you opt for cloud infrastructure. The cost of maintaining servers can be high. Server administrators demand a pretty salary and employing several techies can be a big expense in total. With cloud computing, you can mitigate this cost. I consider this to be one of the most legitimate reasons for anybody to consider cloud computing as an option. New enterprises and entrepreneurs face severe resource crunch and survival of these entities is at best tenuous. Under these circumstances, the benefit of instantaneous and seamless scalability becomes important. Venture capital firms always prefer to invest in companies which are agile and adopt technologies that don’t carry the burden of capex (capital expenditure). Consider GMO Cloud’s scalability features and pay-as-you-go model, which shows how the company sees the value of wise spending. A new venture in the gaming arena can start with a frugal infrastructure in the cloud and scale up as and when required. The initial investment is minimal and with a bit of hard work, an entrepreneur can learn to manage his online infrastructure on his own. When all is said and done, even the most robust online infrastructure can and does go down once in a while – the cloud is no different. If your sole reason to migrate to the cloud is reliability, you must have an iron clad SLA (service level agreement) with your cloud provider. Even then, you have to keep your fingers crossed. Many cloud service providers promise the earth when signing on a customer but renege in crunch time. I say this from my own practical experience. If you, as an enterprise, plan to migrate to the cloud, you must have a good reason to do so. Just because everyone is doing it is no reason for you to tag along. To avoid frustration, you must understand the reasons for migration. Proceeding blindly with a herd mentality can only lead to disappointment. Migrating to a cloud environment may not be rocket science, but you have to follow some essential steps if you want it to go smoothly. Here are five critical steps for a successful migration to the cloud. This is the first and most important step. Many technical innovations fall flat because the top management is not comfortable with the new order of things. Change is perceived as dangerous and many established concepts take time to dislodge. Experience has shown that if a technological change is brought about by technical staff without the consent of top management, it is likely to fail. More because change requires investment, and not just monetary investment. If people are not enthusiastic about a particular project, the response will be lukewarm at best. This situation is a perfect recipe for failure. Getting everyone on board, including top management, is essential. Migrating to the cloud is no exception. This next step is almost equally important. You must understand the reasons why you are migrating to a cloud environment. Is it scalability you are looking for? Or cost cutting? Whatever the reason, you must plan thoroughly before actually implementing a project. Planning must consist of the resources required in terms of manpower and funds. If disruption in operations is projected, it must be clearly pointed out at this stage. Nothing should be left to chance. I would ideally begin with a pilot project. You must make sure that the operating environment is exactly the same as that of the production stage. By taking up a pilot project you will come to know the practical issues which had not been catered to. No amount of planning can obviate the glitches and problems encountered during the actual implementation. Simulating your production processes in a live situation is important. By testing, I mean putting your system through the paces. There are lots os testing softwares available on the market. These provide extensive queries and requests which load the system to a maximum. Of course you can devise your own testing software as well, if that’s within your means. The beauty of technology lies in its uncertainty. Just when you think that your systems and processes are perfect and foolproof, the world comes crashing down on you. Experienced technical staff know this. At the same time you cannot stand by and wait for disaster to strike. The first question I ask is whether a company has a disaster recovery strategy in place or not. The best way to ensure safety is to backup your data. There are several ways to do this depending on the criticality of data. The second question which inevitably follows is how fast you can get back into operation, in the event of a disaster. Time is everything in production. Getting back on your feet after a fall, must not take too much time. If you can get your disaster recovery process in place, you have won the game. All the five steps I have mentioned earlier may not seem to be much, but they form the core of any successful migration to cloud environment. You must get things right in the first instance and your journey to the cloud will be uneventful and even enjoyable. One of the ideals of information technology is to improve our daily lives in as many ways as possible. And in recent years, the internet has become an essential part of how we live. Cloud computing and social media have started to develop too, encompassing all kinds of industries and markets. Customer service and contact is an important area in which companies can expect these developments to bring immediate benefits. Cloud-based interactions and social networks can allow businesses to have unprecedented levels of contact with their customers. Companies should start looking beyond simply developing an app to interact with customers. Instead they should look for holistic solutions that allow them to integrate social media and cloud-based communications with existing databases and customer service avenues to deliver high quality customer care to their clients. This is possible because of the high availability functionality of cloud. Cloud service providers can use the allure of improved customer service to give companies a reason to purchase these services. For a long time, personal customer attention has been one of the weaknesses of larger corporations and the biggest selling point for their smaller competitors. Integrating cloud technology and social media into customer contact allows larger companies to have personalized interactions with their clients and also gives them the ability to cater to markets that would previously have been considered too much of a niche to be worth the trouble. Many companies are in the process of developing integrated platforms that include all of these communications platforms in a single SaaS offering. From new acquisition to debt collection, this allows companies to have a better interaction with their customers that is easier to use, less expensive to maintain, and more effective for everyone involved. Today, many companies are realizing the power of social networking in the field of customer care. Social media allows companies to use Facebook, Twitter, and email to integrate customer relations with their own departments automatically. Keywords, ratings, and various analytic tools can then be used to gauge performance and decide on the proper response for a customer request. These tools allow companies to immediately connect customers to the agent or representative most able to help them quickly and effectively. The power of these tools becomes immediately apparent when integrated with other technologies such as VoIP applications and apps specifically designed to help manage customer interactions and departmental productivity. While these technologies bring substantial gains to businesses all around the world, in few places are the advantages as readily apparent as in the Asia-Pacific market. That’s is because in this market, there are two factors that greatly contribute to cloud-based communications and social media in customer interactions. First, these areas show a remarkably high use of mobile devices. In areas like Japan and South Korea there is a very high use of smartphones and advanced mobile technology, and in emerging economies like Indonesia and the Philippines, many people opt for smartphones over desktop computers to connect to the internet. Because of this, it is highly likely that customer interaction will occur over a mobile device, necessitating cloud-based apps and a strong social media presence. A second factor is increasing broadband speeds and improving technology in the region. As more of the population becomes connected, customer service is increasingly taking place on social networks rather than in person or through call centers. The experience is simply more pleasant and productive for everyone involved. Social media as a customer service platform is almost ideal. Gone are the days of having to stay on hold for hours waiting to speak to a representative, only to be sent to the wrong department repeatedly. Customer interactions through these technologies are so effective that many individuals actively seek out companies to post their opinions or ask for help without the need for prompting. These technologies have effectively allowed larger companies to reach a wider client base while maintaining all the advantages of a smaller operation with individualized service and personal customer care. 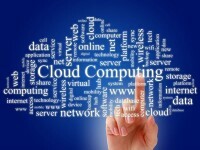 Unified Communications – Cloud-Based or On-Premise? For anyone who has overlooked an enterprise communication system, managing unified communications takes the cake as far as the difficulty level is concerned. Handling various media streams, almost all of them in real time, is no easy task. Add to that the complexities of multicast and unicasting issues, video on demand, multiple conversations and you have a potent mix conducive to a first class headache. Fortunately, moving unified communications to the cloud is making it simpler to manage such systems. Although premises-based systems are still the predominant systems deployed, this is primarily also due to the fact that such systems have a long exploitation period and no one is very willing to junk working technology. Accommodating Mobility – It is very easy to accommodate mobile users in a cloud-based unified communications portal. After all, with respect to the cloud every user is mobile – therefore, mobility for cloud-based systems is a given. For on-premise systems however, catering to mobile users means acquiring additional hardware. This is especially so if your system is a few years old. Managing multiple locations – If your business operates from multiple locations, a cloud-based solution cuts down on interconnection costs. I have known multiple locations sharing the same incoming lines and receptionists. To your callers, the impression is of a unified campus – even though the offices may be in different cities. This is something that a premise-based call manager cannot achieve. Technical skills – As I mentioned earlier, unified communications can be daunting to manage. With so many different services to integrate and support, you will either need to hire quality manpower or you will need external help and consultancy. Going in for a cloud-based communication system transfers the load of management to the cloud service provider, for most small and medium companies, this is the practical way out for their staffing issues. Scalability and capacity swings – Many businesses experience very strong seasonal swings. Take the case of an online retailer during the holiday season. All of a sudden communication volumes can peak. Unless you have added adequate excess capacity (lying idle earlier), your clients will experience long hold times or congestion and could very well drop off the line. Cloud-based systems scale up and down effortlessly based on parameters you have defined in advance. Disaster recovery and business continuity – A well-planned cloud-based solution can really come into its own. Companies have literally gone underwater in typhoons and emerged caked in mud, but as soon as employees and customers could access the internet, the cloud-based communication system was found functional. There are a number of redundancies built into the cloud and the very fact that it is located far away from your premises in carefully controlled environmental setting implies that it will be up and running whenever you need it most. OpEx vs CapEx – Cloud-based communication is accounted for as operating expenses whereas an on premise system is accounted as capital expenditure. Most firms favor using OpEx. This means using cloud-based equipment. Ultimately, the solution you use will depend on the needs that are critical to you and your business. The fact however remains that cloud based systems are now gradually taking over from on-premise hosted systems.